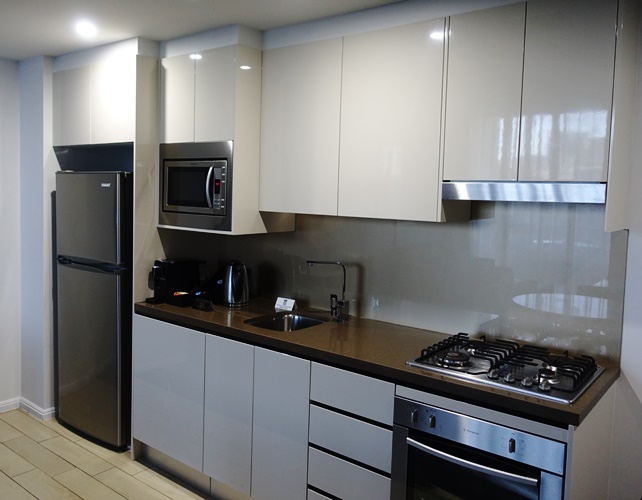 While here in Australia I am staying in a serviced apartment. There are a couple reasons. The first is that it is simply cheaper in this area as there are not enough hotels and the room rates are ridiculous. The other is that apartment life is a little more like home when you are on the road. I have a full kitchen so that if I want to cook I have all that I need. The cupboards and drawers are filled with the things that I need. I won’t cook much, but will definitely be using the fridge and microwave. 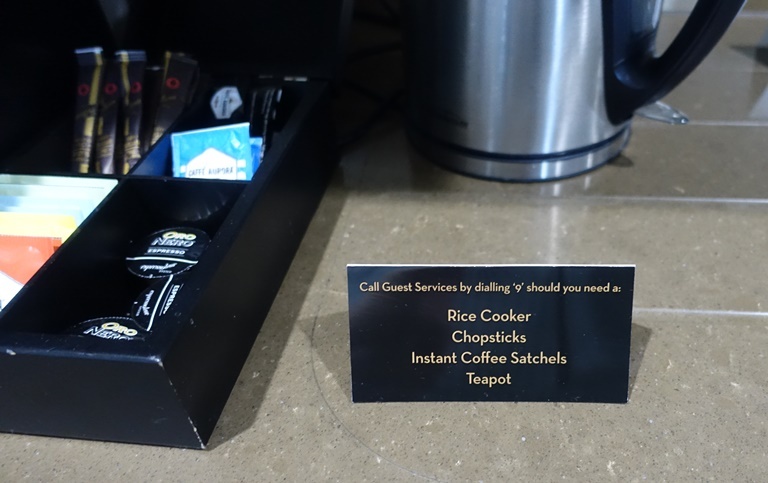 There are even reminders that if you don’t have what you need that you can call guest services. I may just have to check out what type of teapot they have. There is a nice store that sells whole leaf tea in the mall and if it is a good teapot with a filter I may need to borrow one. I also have a washer and dryer and packed accordingly. I am able to have a slightly lighter suitcase when I stay in an apartment as I can do a few loads of laundry. 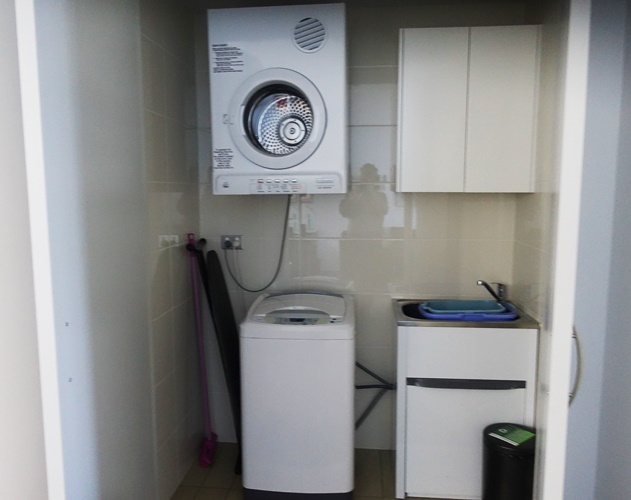 I can also wash everything here at the end of the trip and go home with a suitcase full of clean clothes. 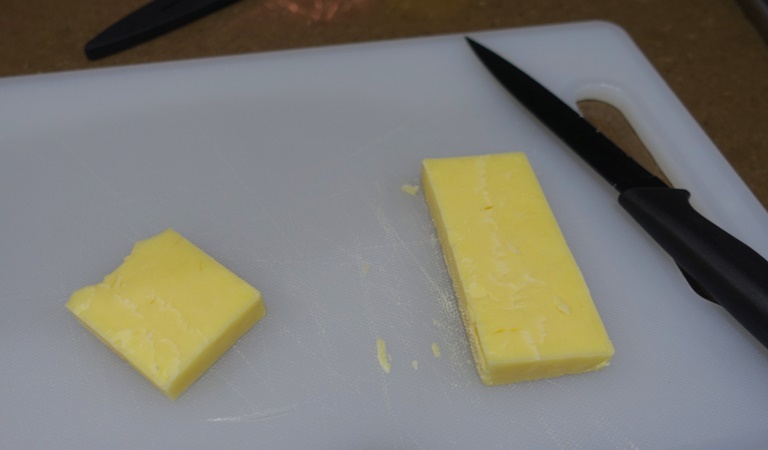 It is nice to have a cutting board so that I could buy a nice block of Australian cheese for a nice snack when I get back from the office, wake up in the morning, before I go to bed, after breakfast, before dinner …..
Basically anytime is a good time for this cheese. OK, must get this posted and get some breakfast before a long day in the classroom. I need to get on an evening schedule for posting so I have more time. Maybe tonight. 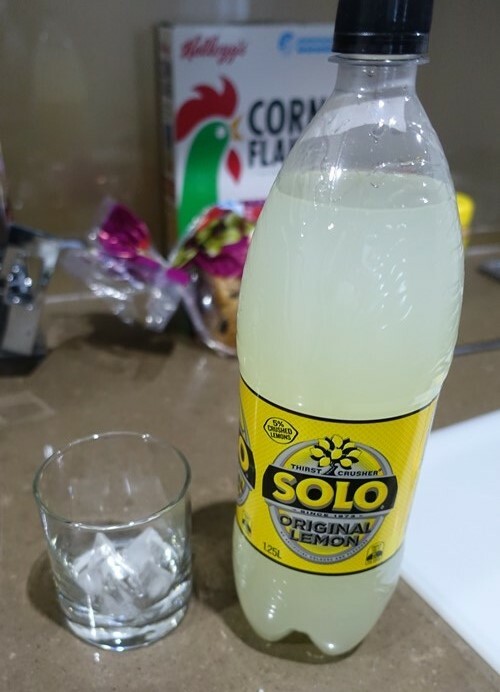 This entry was posted in Australia, Food, Travel and tagged apartment, cheese, lemon soda, meriton, North Ryde, serviced apartment, solo, Sydney. Bookmark the permalink.